Starting a new year is amazing and comes with all the possibilities of what it can bring for you, your family, your friends, and even your yard. We love to start out the new year ready to help you reach your landscaping goals for this year. You might want to completely re-design your yard to entertain more, to let kids and pets run around, or to have a quiet relaxing space for yourself. Whatever your reasons may be, we are here for you! We recommend starting any landscaping projects now so that you will be done and ready by the time the weather gets warmer. Now is also a great time for your landscape design project because we are currently offering 50% OFF ALL SPECIMEN TREES, while supplies last. Not only will you save more on trees, you will get fully matured trees from the moment they are planted. That means there is another perk to your landscape makeover – a high home value increase thanks to your new manicured yard! When you are considering starting a new design, or re-designing, project, it’s good to have an idea of the type of theme you want to achieve for your yard. Figuring out this one aspect could help the rest of the planning come together really fast! Based on whether you want a Tropical, Classical, or a Mediterranean style to your yard tells us which plants, trees, flowers, and general design layout you might be interested in and lets us narrow down your options for you! This type of design is easily recognizable based off its signature look. That look includes adding tropical plants and trees with bright green leaves and strong accents of colors throughout the landscape. For a tropical vibe, we recommend different varieties of palms, Hibiscus, Bird of Paradise, and more. This style is meant to mimic the tropical paradises of the Hawaiian Islands, Belize, or Fiji. It will instantly take you to a relaxing oasis. All you have to do is sit back and enjoy, listen to the wind go through the palm leaves, and transport yourself to your own personal oasis. Add this landscape theme around your pool and it will feel like your private little island. Some people might not find the tropical setting as relaxing as others and that’s okay. There are plenty of ways to design a yard! Another popular design we are often asked about during the design process is the Mediterranean style. This theme is often wanted for the low-key sophistication that it brings to the environment. For this style, we always suggest planting hedge materials, Italian Cypress, Bougainvillea, Mediterranean Fan Palms, and Olive trees. This style has become popular with the fans of old European landscape, specifically in the Italian, French, and Spanish country and coastal towns. These yards were designed on the goal to spend more time outside, whether enjoying the yard and gardening or spending time with family and friends outside. This style is the more traditional option that has become more and more popular through the years. As a home owner, sometimes you must think about the long-term effect of how it will help or hinder your chances of selling your home later depending on the landscape style you choose. This is a style that seems to be enjoyed by most people. The design is so simple and yet each yard with a classic theme can still look so unique. The classic style is impressive because of how balanced the yards are with trees and plants spread out evenly through the yard in a pattern-like setting. We love to plant different varieties of hedges in a classic yard to give a formal linear look and different color roses for pops of color. With expert designers at every store, we are ready to help all our customers with any questions they have about landscape designing and everything that comes with it. 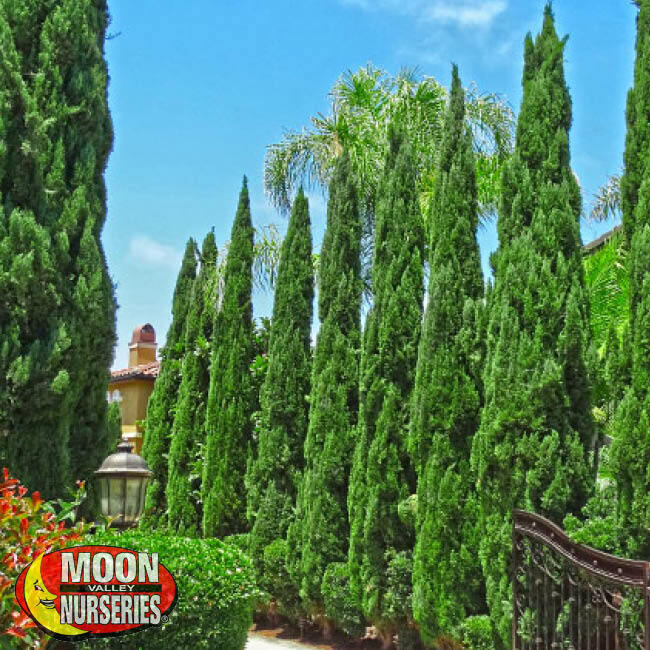 Moon Valley Nurseries is the only place around that offers a full design service from planning your design layout to planting your trees and plants into your yard. 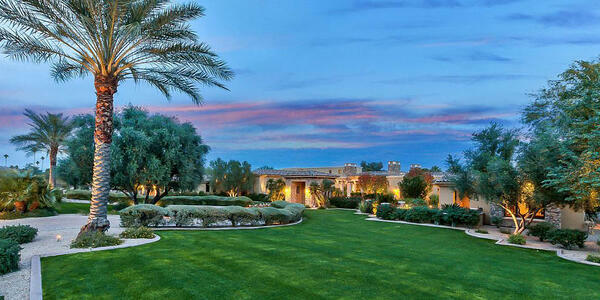 Consultations allow us to see what exactly our clients want for their new yard. We want to get to know you and understand how you use your yard or how you want to start using it this year, how long you plan on staying at your home, and so on. Depending on all these factors and more, we can start to suggest and design a yard that will fit your exact needs. We are proud to be able to offer an at-home consultation for our clients. The design experience is personal and different when we can come to your home and see the actual land that you want to update with our own eyes. One of our professional designers will come to your home and walk your property with you. They will consider factors like how the sun hits your home throughout the day, which way your home faces, slopes or uneven ground, and will be able to make the best suggestions for your yard based on those factors. They will also be able to show you the best places in your yard to plant the trees and plants that you are interested in adding to your landscape. No matter which Moon Valley Nurseries you decide to visit, you will find an expert designer happy to help you with all your design questions. For in-store consultations, we recommend bringing in photos of your yard for us to see. We can even check out your property though programs like Google Earth, which helps us get a general idea of the size of your yard. Once we discuss the type of yard you are looking to create, you and your designer can walk around the nursery and start tagging the trees and plants to be included into your yard. Once you have chosen what you want, we will set up a delivery time and get you one step closer to your new yard! When you buy trees from us, you have the option to get an extended warranty with your purchases! This warranty lasts for a whole year starting from the day your tree is planted and comes with proper staking of your tree, as needed. The warranty covers issues such as frost, wind, heat stress, and other weather-related damage. If the damage is too bad to fix, we will even replace your tree with a new tree of similar size. For more information on our tree warranty, click here or ask our designers. Why would I want hedges for my yard? The most obvious reason you want to have hedges added to your landscape is how awesome they can transform your home and give your yard a formal classic style. This is a guaranteed way to increase your home value as well, with the instant curb appeal that hedges like the Italian Cypress offer. There are many practical reasons to plant hedges too. There are varieties that grow tall, which adds privacy between your home and busy streets or neighbors that might be just a few feet away. Some varieties are great to plant for added security due to how dense the hedges grow and intertwine to each other. The density that hedges offer work great as wind and sound barriers as well. How can I get an instant privacy hedge? The best way to get an instant privacy hedge is to buy hedges that are a few years old already. While you can buy younger plants, you will have a waiting period as they grow. Some hedges grow much faster than others (and we will talk more about that below), however it will never be as fast as planting our specimen-sized hedges. 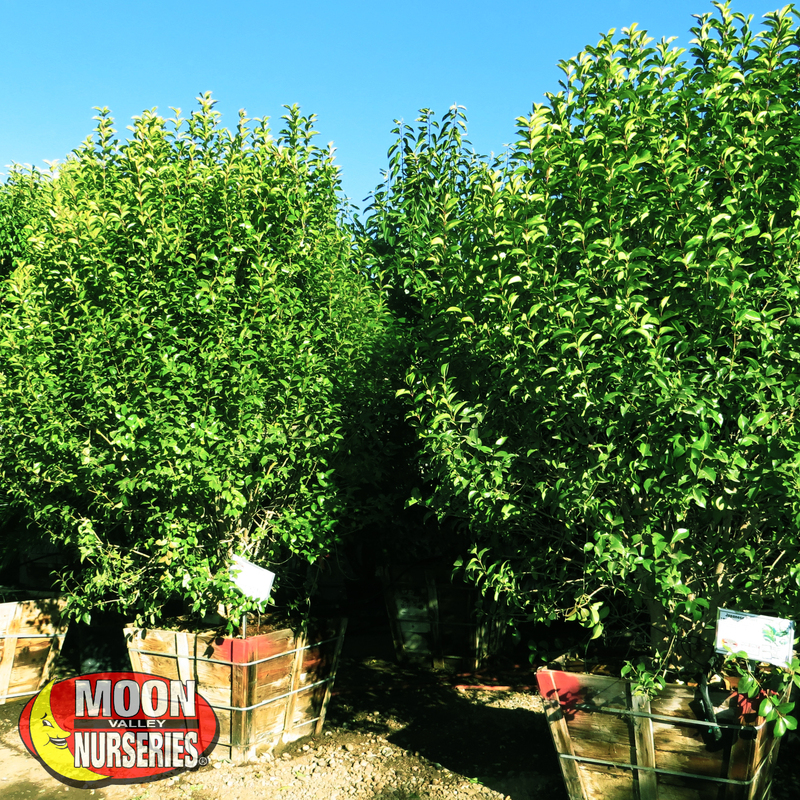 Our specimen-sized hedges will give you the privacy and beauty you want and need from the first day they are planted. When can hedges be trimmed? For the most part, hedges can be trimmed at any time depending on how you use them in your landscape. Many hedge shrubs look great when grown naturally and left alone but many owners like to keep their hedges trimmed with a classic clean look. If you want a formal look, regular trimming will keep hedges neat and will train them to grow the way you want for your yard. **If your hedge is a flowering shrub, we recommend pruning once their flowering season is ending or ended. Can hedges grow in containers? Yup! Hedges can be grown in containers. Not all varieties would do well in a container due to lack of space for the root system, but many do just fine. When you plant hedges in a container, you can plant them any time of the year if they are getting partial sun throughout the day. The only downfall is that the container will limit the growth potential of the hedge. Can hedges grow in shade? Overall, most hedge materials thrive in full sun exposure. They can tolerate shady spots, but they prefer to bathe in the sun. For shadier spots in your yard, hedges such as Carolina Cherry and Indian Laurel Columns are good choices if they can get some sun during the day. With so many options to choose from for your hedge, there are many that grow quickly, especially when properly cared for and given top nutrients and fertilizers. Our Indian Laurel Columns are our most popular shrub to use as a hedge and can grow almost 2 feet a year. Our customers usually ask about the fastest-growing shrubs we have because they want to benefit from their new hedge as soon as possible so it makes sense to want the varieties that grow fastest, right? Yes and no. It is good to buy fast-growing shrubs if you like to play around with the size and shape or yard work is relaxing to you but if you want a fast grower because you want a privacy wall and don’t want to wait, then it might be best to consider our specimen-sized shrubs. Regardless of how slow they grow; the older plants will already be the size you want for your yard. Why are my hedges dying? The most common reason for plants in our landscapes to start dying is probably improper or too little care. It can be hard to keep up with the needs of your plants, especially when seasonal changes completely alter those needs every few months! If you have an unhealthy-looking shrub, check out the trunk, branches, and leaves for any potential insect damage or disease. If everything looks good, it might be time to test the soil pH and see which nutrients your shrub might be missing. Lightly prune dead or weak branches to allow the sun to reach the bottom of your hedges better. Mulch can also help retain moisture to the roots during those hot months. Choosing a disease-resistant shrub, such as a Japanese Privet, helps minimize the chances of having health issues in the future. 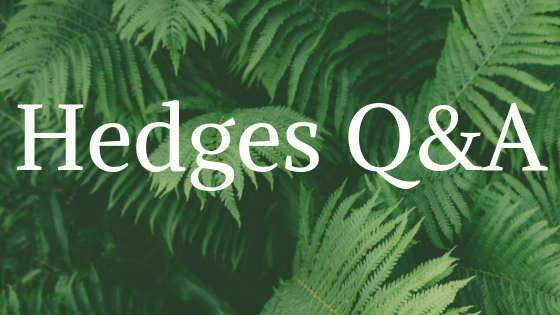 Which hedges produce colorful flowers? Most people will picture the straight and formal look of a pure green hedge first but some of the best hedges are the informal kind that grow out naturally in their environment and produce flowers throughout the year. Flowering hedges are excellent options if you are looking to create a hedge with some flair. One of our favorite flowering shrubs we use for hedge material is the Lemon Bottlebrush. It can be grown as a small tree and trained as a hedge. This shrub stays green all year but grows amazing red flowers that will surely catch your neighbor’s attention. Why should I choose a hedge instead of a fence? Hedges are a much better option than a boring fence and for multiple reasons! A hedge will bring life and texture to your yard, an increase in property value, and peace to the whole world. Ok ok ok… you might not create world peace just by planting a hedge in your yard. But you will feel at peace once you’re in your private oasis surrounded by a living evergreen wall. Plus, you will be contributing to cleaning up the air around you and no fence can do that. Hedges do everything a fence can do better. They create a private space for you, help keep noise and weather interruptions to a minimum, and can last for years and years. Fences can be unsightly and do not usually increase property value the way any landscape additions would. They also start to wear and will eventually need to be replaced. You might be paying for multiple fences or you could invest in hedges, which are more cost-effective from the beginning. 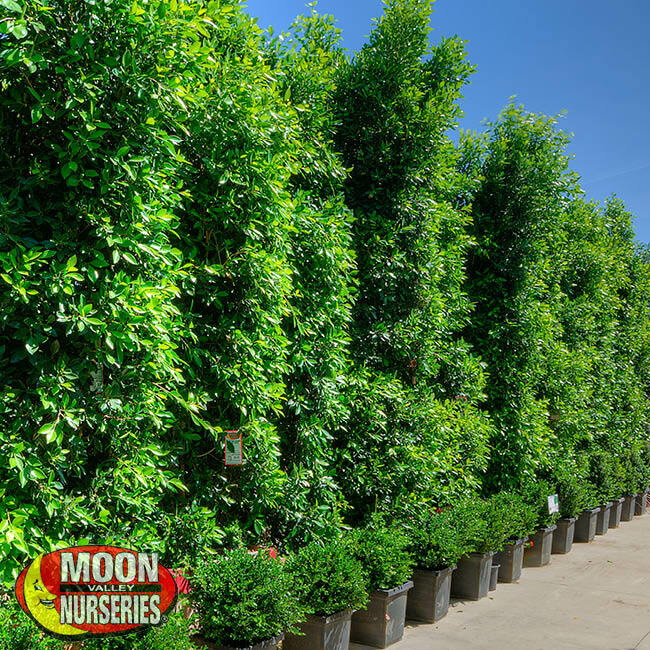 The first step to creating the perfect hedge for your yard is to come in to Moon Valley Nurseries and check out all our hedge material options for yourself. Our nursery professionals are around to answer any questions and walk with you to show you the best options based on your needs. Once you have an idea of some varieties that you like, our designers can help you find the right variety for your yard. With some photos of your yard, or a visit to your home, they will have everything they need to complete your design. Click here for more information on landscape consultations. Don’t forget about our Tree Care services in Arizona! We have a team dedicated to all your arbor needs such as removal, trimming, fertilizing, stump grinding, and anything else a tree might need. A new year brings so many new ideas, new plans, new goals, new everything! With the end of the year just around the corner, I’m sure most of us are starting to come up with those new year’s resolutions for the next year already. I bet some of the Type A personalities might even have their new goals already planned out on paper and are ready to get started. Some people might be planning out their new workout that they swear they are starting on the first Monday of the year, learning to cook healthier, or prepping their tools to practice their D.I.Y. skills around the house. However, there are many things that people just cannot take on themselves, no matter how many YouTube videos they swear they have watched. 1. RIGHT NOW - 50% - 70% Off Specimen Trees - WHILE THEY LAST! Right now, while they last, we are offering huge deals on some of our biggest trees. Come in and see which Specimen trees are perfect for your yard. 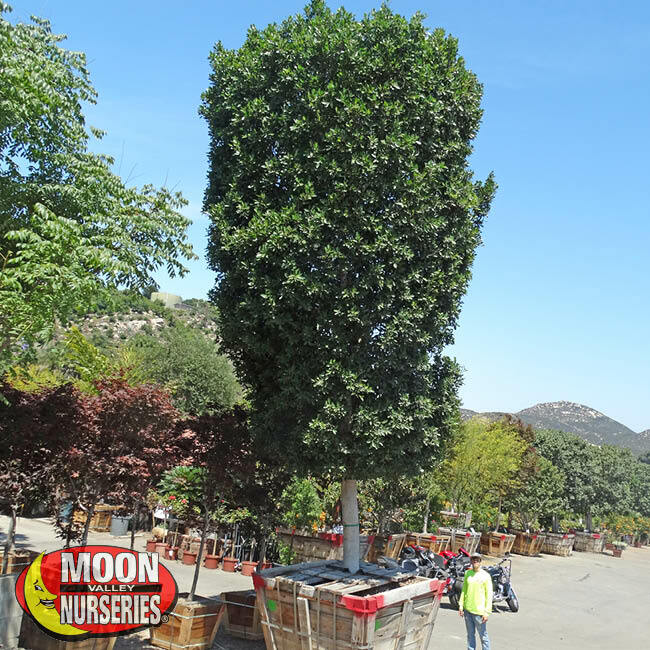 Our Specimen trees range from 6 – 40 years old and have all been grown in our tree farms in Arizona and California. We have taken the best care of these trees from the day they were seeded, and they are ready for their forever home! Because we are the direct growers, we can pass savings on to you; 50% to 70% off to be exact! Because of our amazing weather, the winter does not slow us down when it comes to our yards. This is still a great time to plant new trees in your yard. Specimen trees are perfect for planting right now because of their strong root ball system. They are also great to plant in landscapes and will make the yard look more mature overnight! Moon Valley Nurseries is the only nursery around that can handle every aspect of the design process for our clients from start to finish. We have designers at every location with the knowledge and experience to take your dream yard and turn it into a special outdoor retreat, whatever your needs might be! Not only do we offer design services from planning to planting, we also have our own crew of professional planters and nursery pros to carry out each part of the design process. For your convenience, we can work directly with any other parties involved, such as contractors or H.O.A.’s, so you have less to worry about and less to do. One of our most popular services we offer every client that comes in is our Moon Valley Free Planting (#Freeplanting). 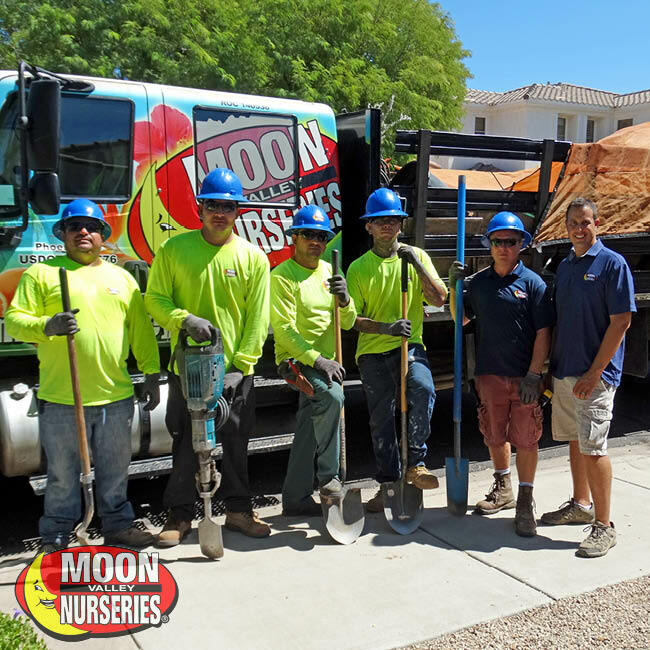 This service is completed by Moon Valley planting pros, which means they know exactly what your design plan is and should be. They also have instant access to any, and all, designers and managers involved so that the final steps are done right. When you take advantage of our free planting, we are not just digging a hole, throwing a tree in, and calling it a day. Our planting crew makes sure that every plant install is carefully measured, that the soil is healthy, that the plants are installed with proper soils and nutrients, and the yard is put back together better than before! With 2018 almost at an end, we like to look back on all the designs we made and landscapes we transformed all over Arizona. We are truly grateful for our amazing clients that we have met this year and every year before. It is amazing to be able to drive around the Phoenix area and see yards we designed 20 years ago still looking beautiful! What are your landscape goals for the new year? Let us know below. We love hearing about new design ideas or fun projects you completed in 2018. We also love seeing them, so make sure when you are posting pictures on Facebook and Instagram that you tag us too! Which Landscape is Best for You? Starting a landscape design is both very exciting and very scary at the same time. With a potential 28% increase in property value, it is one of the best home projects to jump on! Getting started might be the hardest part with so many things to decide such as which plants you might want, if you want a lawn, if you want to entertain, what style you want, and soooo many more! When you’re planning on designing a new yard or redesigning an existing yard, there are many factors to consider and it can get overwhelming fast. Influential considerations can be anything from pet ownership, kids playing in the yard, wanting to entertain outside, creating a relaxing place for you to escape to, and how much time you must give to your yard. You want to know that your new yard is going to not only fit your existing lifestyle but the one you might have 5...10...even 15 years down the road. Moon Valley Nurseries knows how time-consuming and stressful the design process can be when you tackle it on your own. We have always tried to help every step of the way from the moment you walk into our nursery to the moment we drive away from your freshly planted new yard! You can find our expert designers available at every nursery location for in-store and at-home consultations. From planning to free planting, we make sure we have everything covered for you! 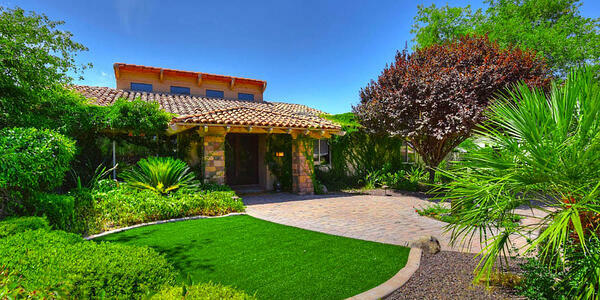 The Tropical landscape style is one of the most popular designs for yard renovations. This design is known for full, tropical plants that can take you away to another world – the more plants you have, the closer to paradise you are! You can fill your yard with palms like Mexican Fan, Piru Queen, and Pineapple Palm to add breezy sounds into your yard that will make you think the beach is only blocks away. For some contrast to palms, the Indian Laurel (ficus nitida) tree not only does the job, but it makes for an impressive focal point for your yard as well. If are you also designing around, or near, a pool, it will only add to the tropical feel you create. While you might think a luscious green tropical yard would be a lot of work, think again. Palms are very strong and low-maintenance trees. While a Mediterranean styled landscape has similarities to a Classic style, such as neat rows and symmetry, that’s where the likeness ends. The biggest difference is that the Mediterranean style creates a vision of an old European countryside in the-middle-of-nowhere Greece or Italy. This style is great for a look that is simultaneously casual and sophisticated. To create some focal points in your yard, we recommend Mediterranean Fan Palm and Fruitless Olive trees. The latter also make amazing shade trees when spread throughout your yard or around borders. Roses and Oleander will add a bit of color and help break up the texture. The Oleander can even be used as a living wall to break up areas of the yard. The traditional look of the Classic style is the most common type of design used nowadays. As mentioned above, it shares some similar features to a Mediterranean yard such as creating mirrored symmetry and having tons of green foliage spread out throughout the yard. However, a yard with a classic style will have a more formal look than the others mentioned here. Trees we recommend to create a lush, green look are the Majestic Ash, Tipu, and Brazilian Pepper . These trees can also be planted so that they are focal points for the yard itself. This type of look is usually filled with plants to emphasize the greenery, but a splash of color never hurts! Tecoma shrubs will add a bit of color and be used as a small shrub or large hedge, depending on the variety. This style of landscape design has a history that goes back to the 1960’s, when the focus was more on linear design, clean cuts, and an overall organized aesthetic in the design. The modern design is at its best when it can be aesthetically pleasing AND functional at the same time and our Indian Laurel Columns (ficus nitida) check both of those boxes with their ability to grow into a large living privacy wall that can create walls in your yard or borders for your property. For some symmetrical ground covering and splashes of color, we also recommend planting ornamental grasses, such as Regal Mist or Purple Haze. Our Tree Care team is always ready to help you out with any questions or concerns regarding tree removal, trimming, fertilizing, and more! Moon Valley Nurseries is your one stop shop for all your landscape needs. Our experts have decades worth of experience and they will be able to assist you with any projects or questions you may have. Remember to change your watering schedule as we enter the winter and be sure to come by your nearest Moon Valley Nurseries locations and check out these trees! It’s not too late for #FreeFallPlanting.